If you have released an SAP transport and have had export problems or have (recently) lost the exported cofiles and data files, here’s a way to re-export the transports and get a new set of co files and data files. A simple way is to run tp export on OS level and follow the syntax, the only problem with this is I have found inconsistencies with the target clients. I have not been able to set more than one target client while I might have a target group in my stms config. i.e. : the exported transport from DEV should come up as having 3 or 4 times in the QA import queue with different clients number. A complicated and a not-so-recommended method is to sqlplus and change the status of the transport to not released in the table E070. While installing SAP on AIX you get a Condition not met error for Soft Resource Limit Stack Size. You now want to set the Soft Resource Limit Stack to unlimited. for the users you want the limits set/unset for. or follow the smitty interactive procedure. Check/change LIBPATH settings on AIX or LD_LIBRARY_PATH on HP-UX. Check/change permissions on the lib* files in the lib directory. SAP_REORG_UPDATERECORDS job in SRM / BW systems fails with job log “Reorganizing update data in the background is prohibited”. 67014 and 16083 for further information and profile parameter changes. If the installation fails during step: R3SAPSYSTEMSERVICE_NT_IND or starting the SAP service ends with an error: The dynamic link library librfc32.dll could not be loaded. 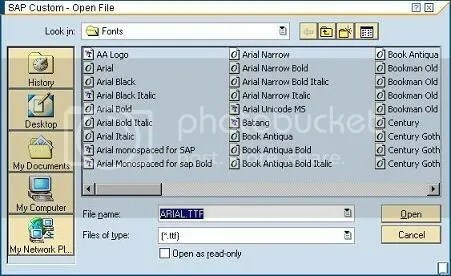 DO NOT select bold and italic in the screen above if you’re uploading the regular font file. 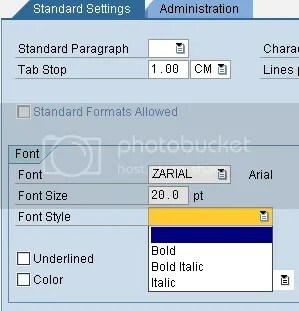 Select Bold, Italic and both while uploading the Arial Bold, Arial Italic and Arial Bold Italic respectively. You will also need to create/confirm a transport request number. 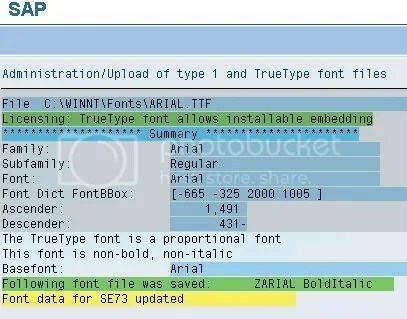 If you go to the style selector now you would only be able to use the regular font without Bold or Italic attributes, to be able to use either Bold or Italic attributes, you will need to repeat the procedure of uploading the font again but select either one check box or both for the respective attributes. Select the file again from the pop-up, enter rtf info and confirm the transport request. Repeat this process for italics if needed. You now have a new font family. 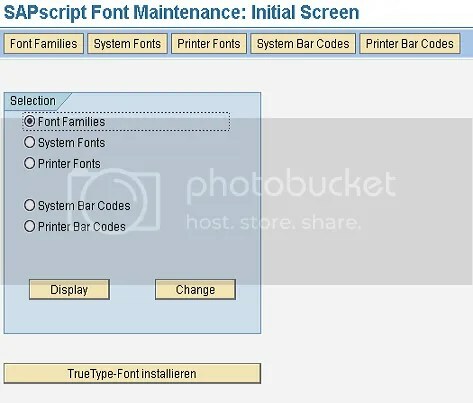 You will also find a number of system fonts added. 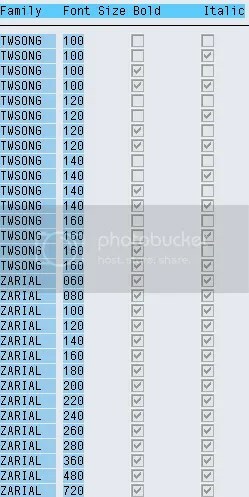 These are the sizes and attributes that were supported by the .ttf file that we used to add the font to the system.